The Kamei X1 kit was available as an after market item. 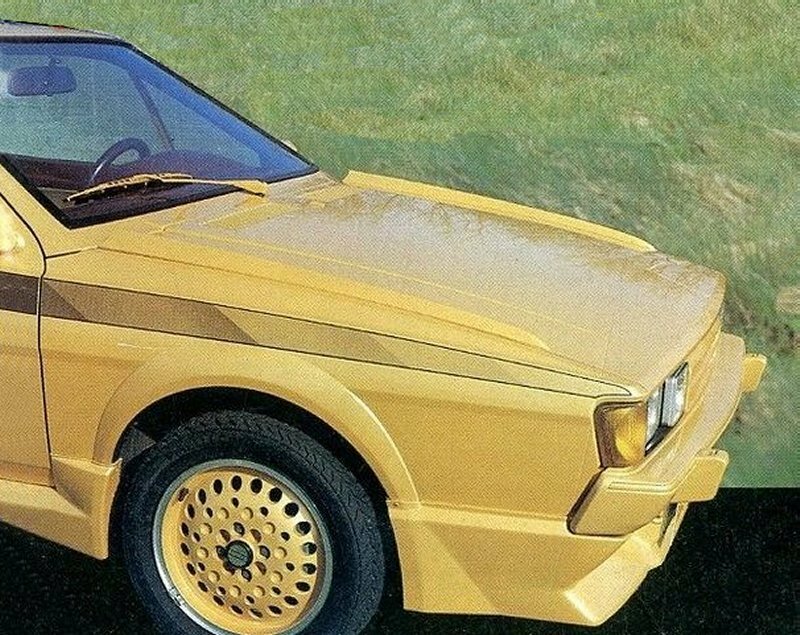 The majority of it was originally fitted as standard to the early Scirocco GTX. Kamei branded Centra Turbo wheels are shown here. A photo highlighting the Kamei parts. X1 Rear skirt (No.44322), front spoiler (No.44226) and grill (No.44005). Side views showing side skirts (No.44321), Sprint decor set (No.49235) and Centra Type 1 alloy wheels. 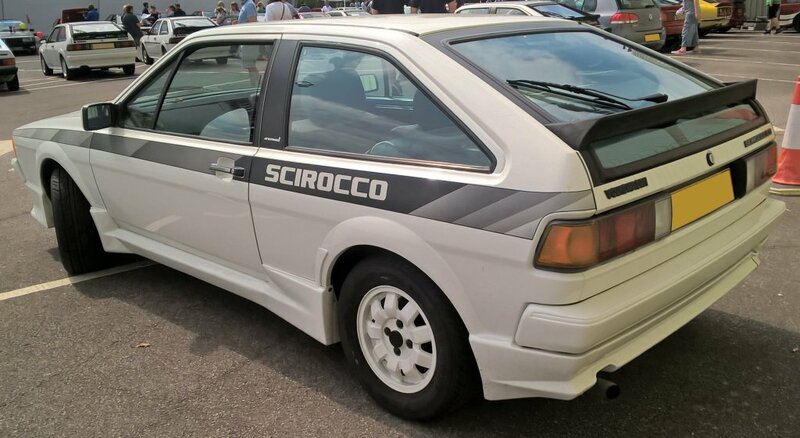 A beautiful Kamei Scirocco at the Scirocco Register national meet, Cosford 2015. 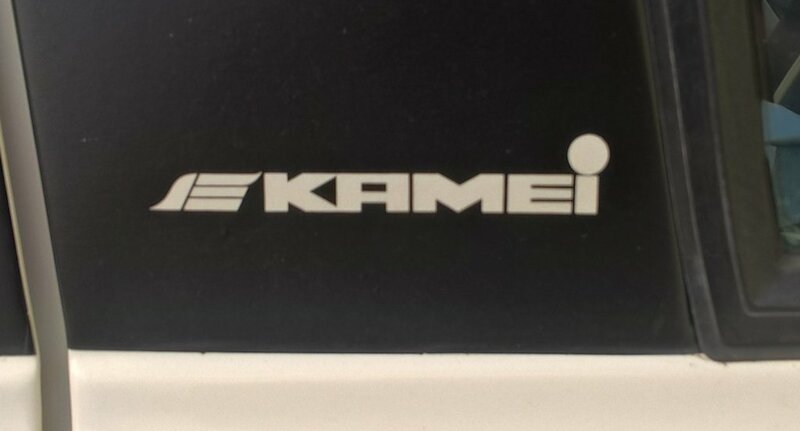 Detailed shots of the decor set with Kamei logo on the B-pillar covering. 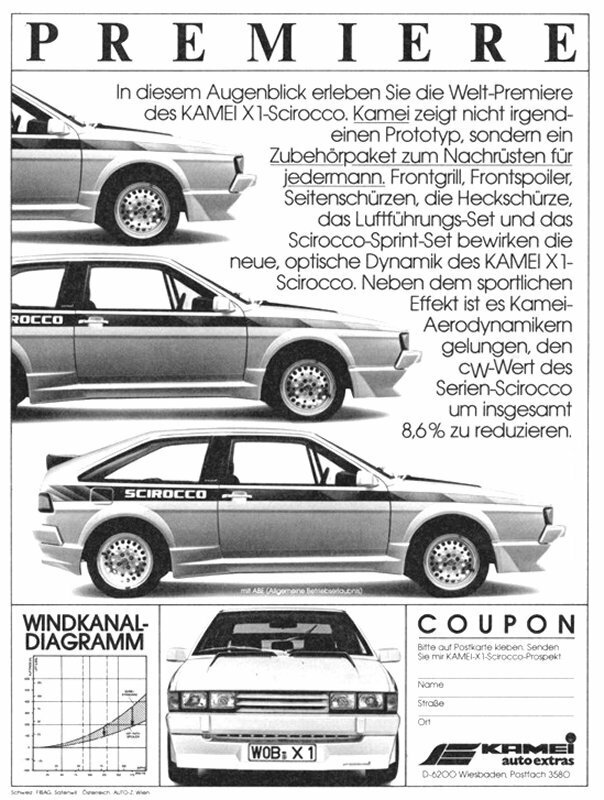 The Scirocco GTX with factory fitted Kamei kit.